This is just a short message, but it is important. Many clients book in for a massage because they feel a bit restricted and others because they are no longer able to ignore the niggles and sometimes, outright pain. You have sore neck and shoulders or lower back pain with no obvious reason. Maybe you went to the doctor and they said it was a SOFT TISSUE problem. Perfect! Remedial Massage is right for you. So you get a massage and even though the Therapist recommends you come back in a week for a follow up, you forget and get back into your regular routine until it hurts again. BUT one treatment is not enough, because THIS IS YOUR WAKEUP CALL. Over time gradually increasing tension reaches a critical point and PAIN becomes CHRONIC. Now, rather than just treating the symptom, you need to begin reversing the cycle. 1 or 2 massages may reduce pain now but to keep pain away, you should be seeing your therapist on a regular monthly or 2 weekly basis to ensure that you continue to have the freedom to move without pain and can keep working or playing. Each client will be slightly different based on their body type and activity level, and the therapist will take this into account when they advise you. You work long hours, and try to keep fit and healthy or play regular sports and train 3 – 6 times a week to be your best. As a proactive person, you recognise that regular massage keeps you moving and feeling better, so you schedule massage into your life and treat it as importantly as regular exercise, healthy eating and good sleep. You also listen to your body and when something goes wrong, you know you can’t afford to wait for pain to slow you down. You get help fast. You and your Therapist respect each other and work together to get a better result for you each and every time. 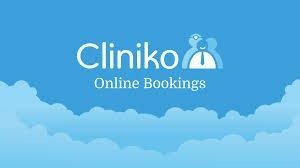 With the technology available today, you can set regular reminders on your smart phone and book regular appointments online as well. But even so, sometimes your week goes haywire and you need to reschedule to stay on track. Step One: Go online and book a new appointment. Step Two: Access your Confirmation Email and use the Cancellation Link to cancel the appointment you are unable to attend. Even if you cannot see your regular Therapist at short notice, another therapist will be able to treat you and then you can get back to your regular schedule and regular Therapist. Over time, Regular Massage is a proactive way to maintain healthy soft tissue. Proactive people don’t wait until they have a toothache to begin brushing their teeth. They brush their teeth to PREVENT problems. When you next brush your teeth, look into the mirror and check out your posture. How are your shoulders sitting? Maybe today is your day to make a difference. Start a new routine for a better you.